Syria, Russia, and Iran have blamed Israel for conducting air strikes on a Syrian air base in an act that reportedly killed 14 people including 4 Iranians and operatives of Lebanon-based Shia movement Hezbollah. Syria backtracked Monday after it accused the US of “act of aggression” on its central Syria T-4 air. The US administration denied any involvement in the predawn air strikes, eight of them in total launched from Lebanon. Washington according to US officials was informed in advance. 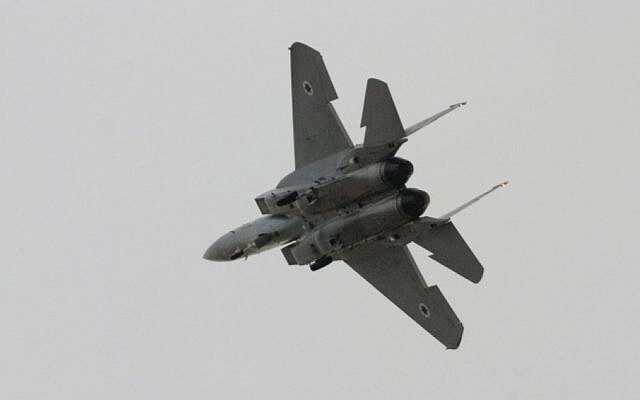 Israel according to Russia launched air strikes shortly before 4am using F-15 fighter jets to hit the base. The Jewish state believes Iran uses the installation as drone producing factory. Five of the missiles were intercepted by Syrian forces, Moscow noted. Moscow was up in arms over the strikes, protesting it was not informed beforehand and they could have killed Russian military experts. There were however no Russian military advisers at the base during airstrikes. Israel conducted similar operation on the base early February after it accused Iran of piloting a drone in Israel’s air space. It downed the drone but Syrian defense forces hit F-15 which was used for the military assault. Both Russia and Iran in addition to Hezbollah are backing President Bashar al Assad in his confrontation with armed opposition and militants. Russia helped turn the tide in 2015 after it entered the conflict on the side of the Syrian regime. The air strikes followed President Trump’s threats for “big price to pay” in the wake of Saturday alleged use by the Assad regime of gas bomb against the opposition’s last foothold in Homs, Damascus suburb. At least 100 people among children and women had been reported dead. Written by: KanelkaTagba on April 10, 2018. Posted by KanelkaTagba on Apr 10 2018. Filed under Headlines, World News. You can follow any responses to this entry through the RSS 2.0. Both comments and pings are currently closed.